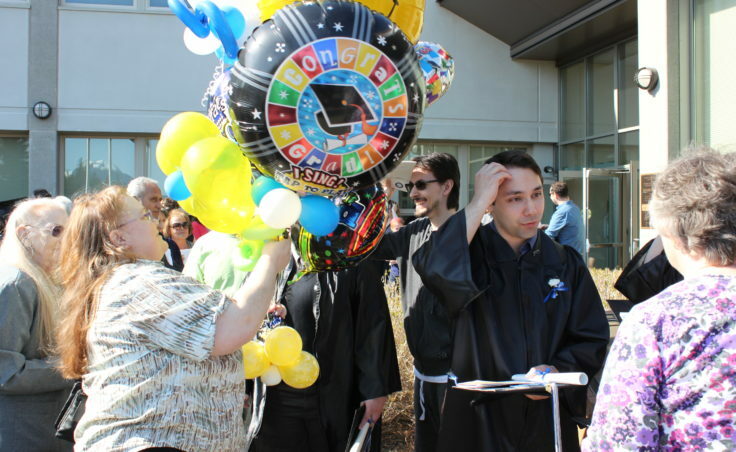 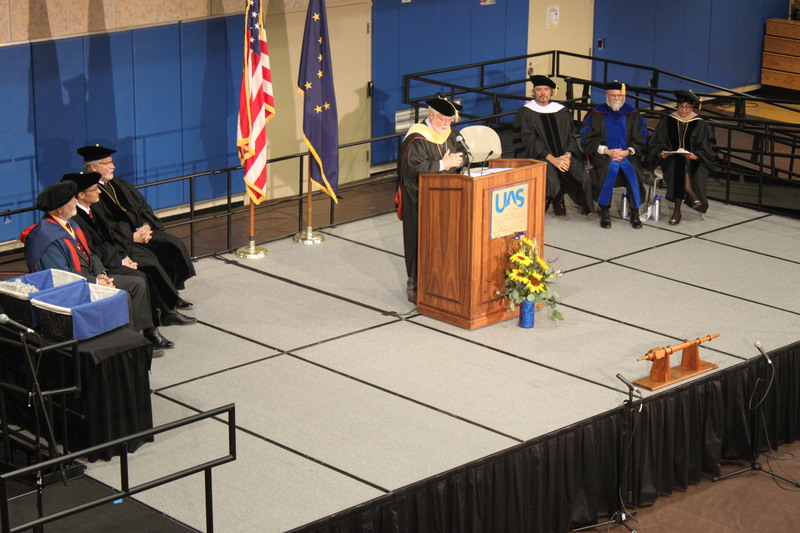 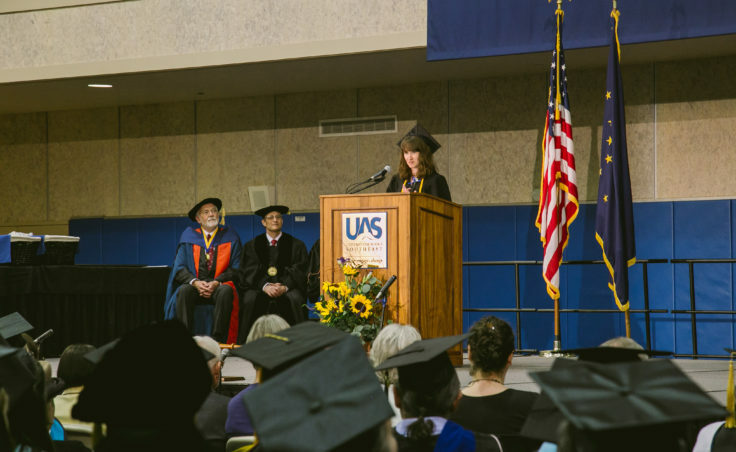 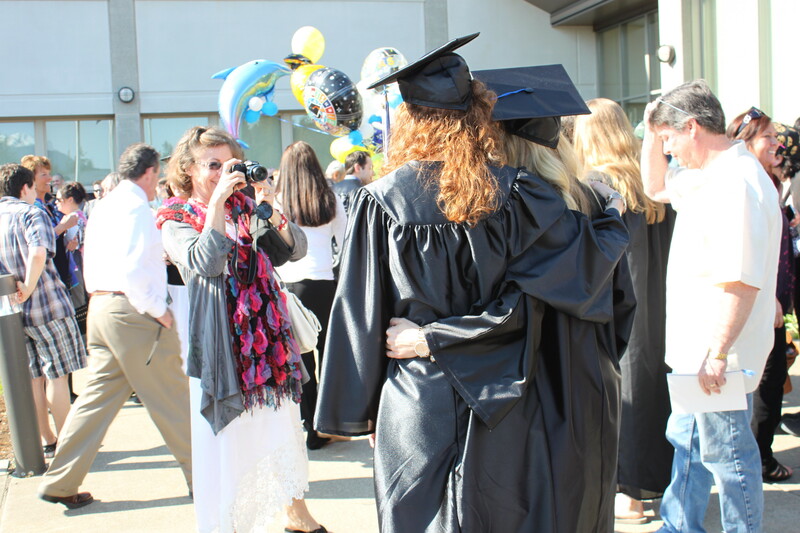 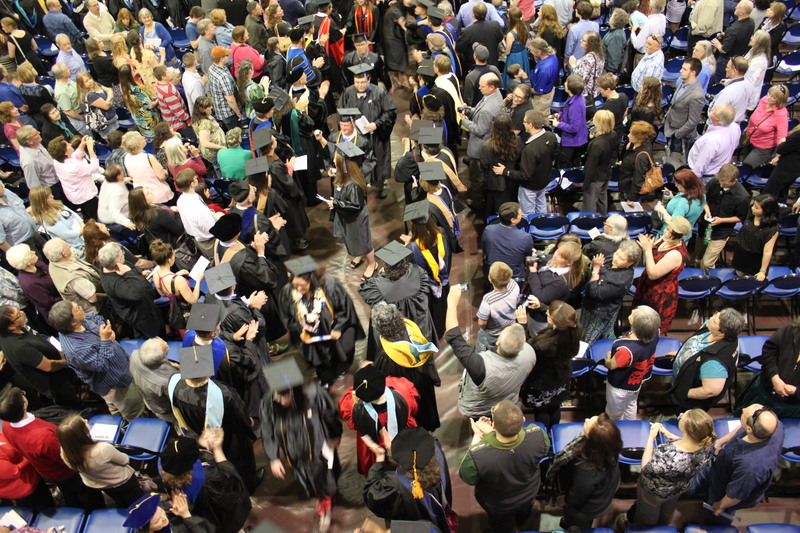 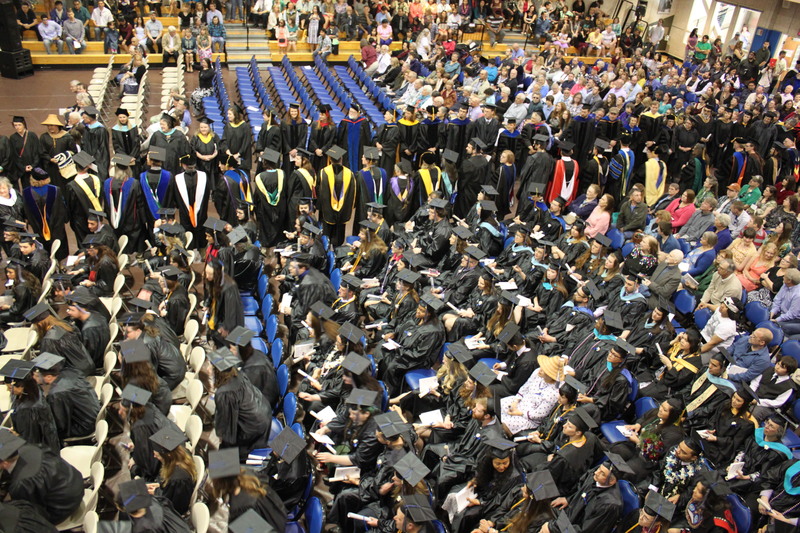 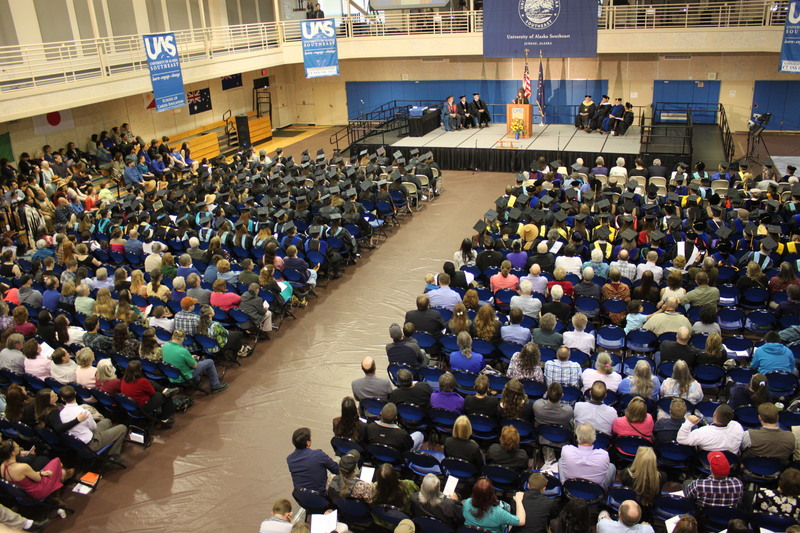 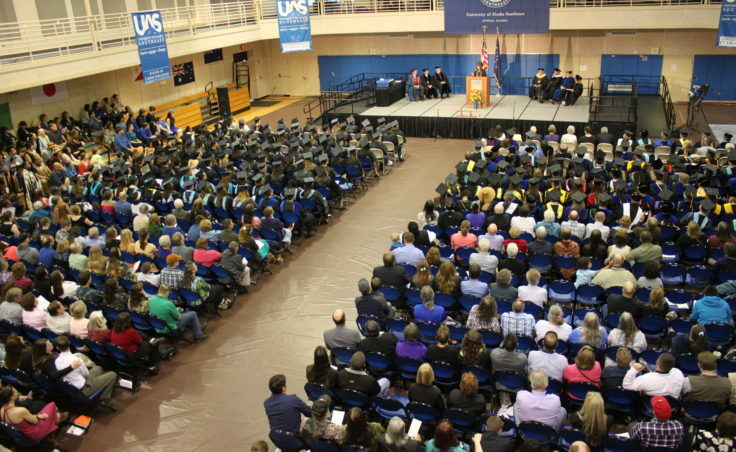 The Juneau campus held its 43rd annual commencement ceremony Sunday at the UAS Rec Center. 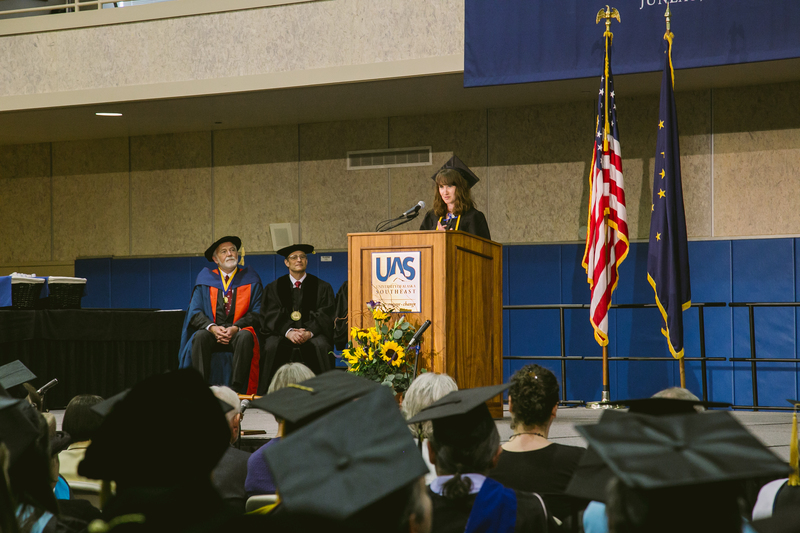 Emily Rose King gave the student commencement speech to a packed audience. 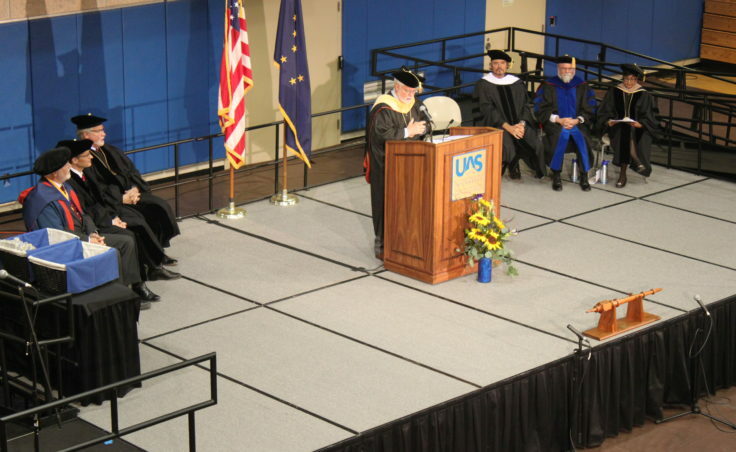 She spoke about not being afraid to fail. 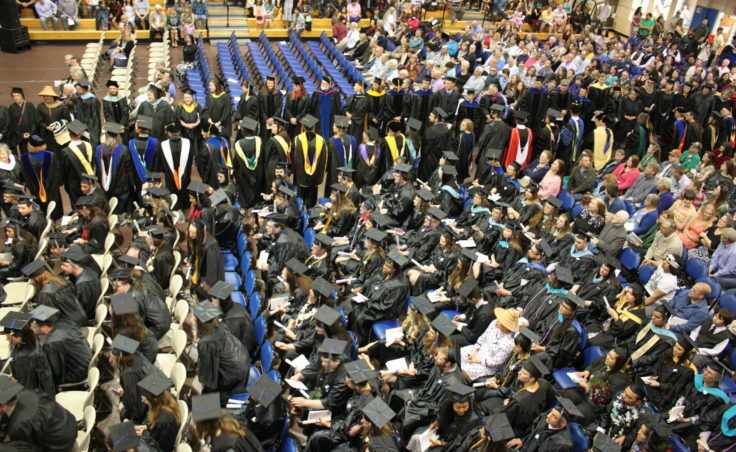 “A college degree doesn’t ensure success. 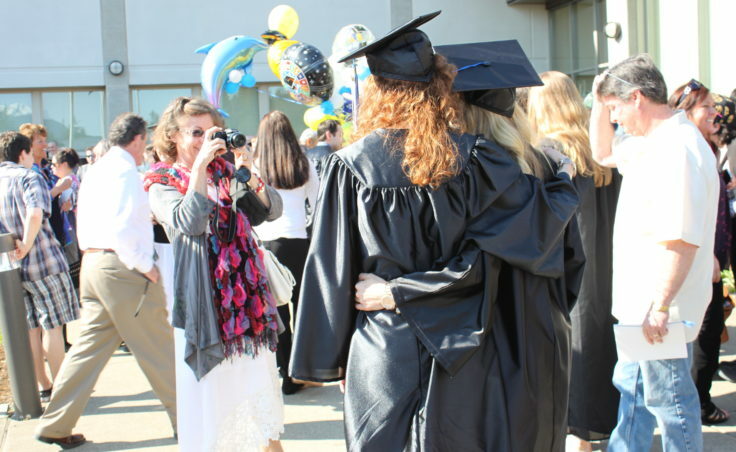 But I’m pretty sure that it means you know how to fail. 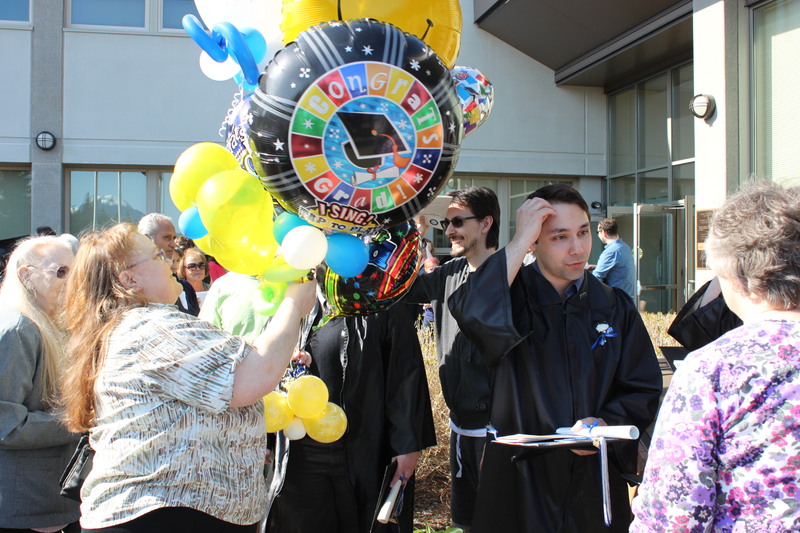 It means that when presented with difficult readings, math problems, lovers, crazy people, you can figure out how to proceed. 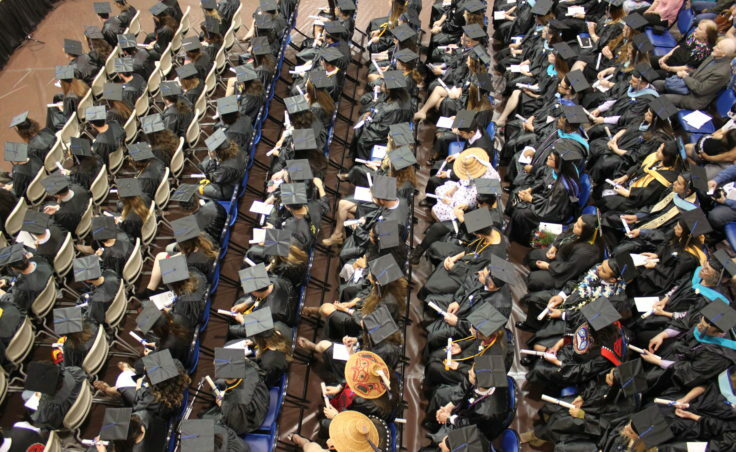 After we take off these really, really interesting hats, we’re going to have every opportunity to potentially succeed and fail and we should probably take them,” King said. 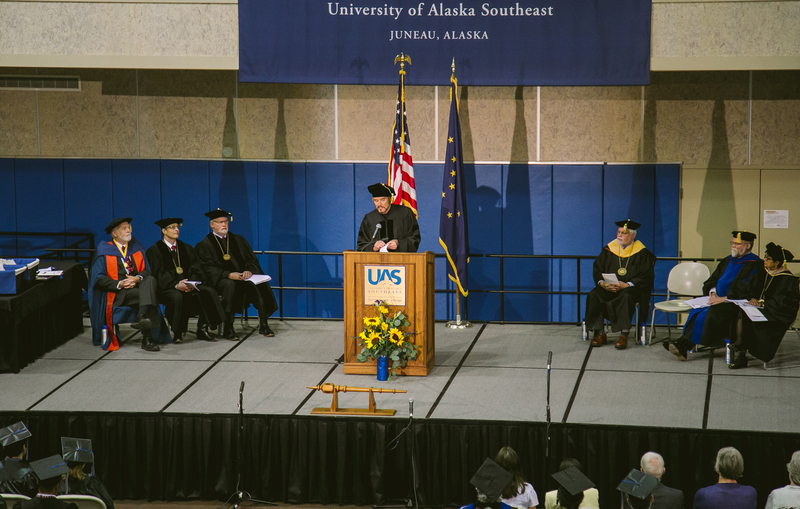 Juneau playwright and screenwriter Dave Hunsaker received an Honorary Doctorate of Humane Letters for his contribution to literary and dramatic arts in Alaska. 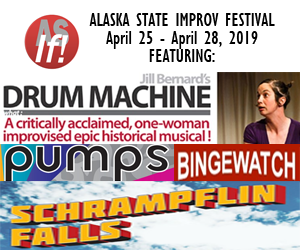 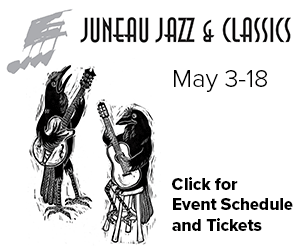 He’s known for the play “Yup’ik Antigone” which toured in Alaska, New York, France and Greece. 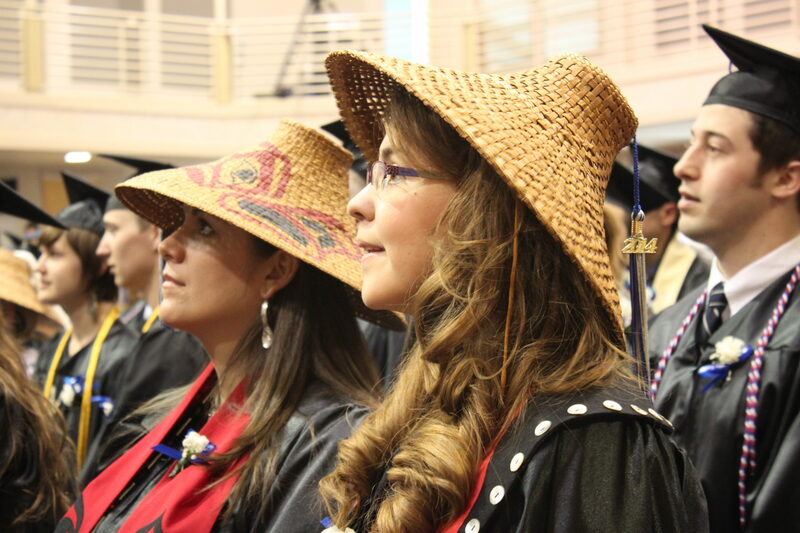 Hunsaker was adopted by Tlingit elder Austin Hammond, Sr., of Haines into the Luxaax.ádi Clan. 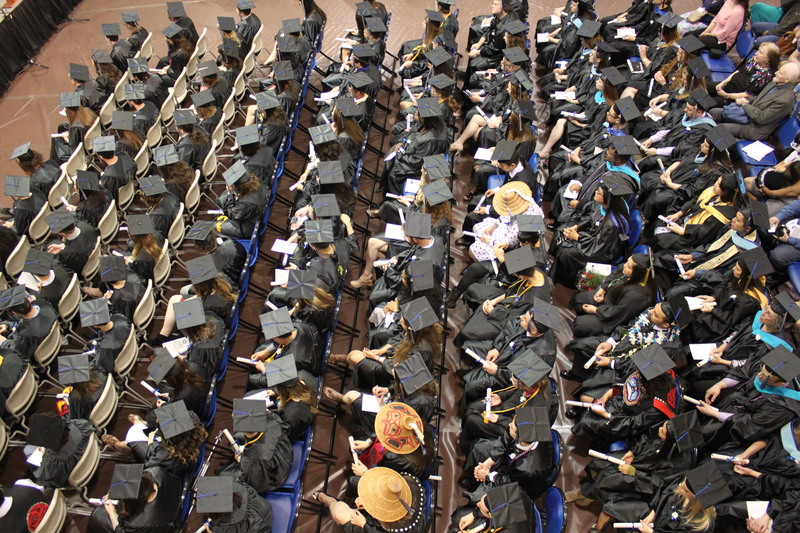 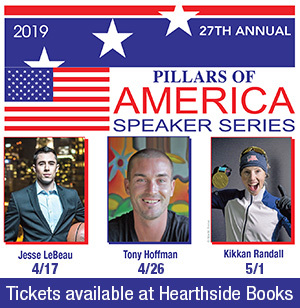 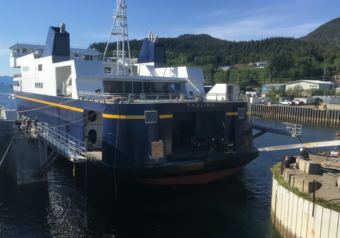 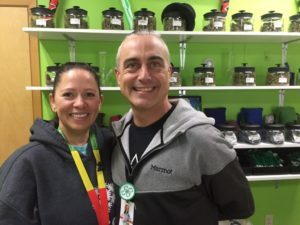 As the commencement speaker, Hunsaker described his connection to the Native community which began as a school music teacher in Tyonek, an Athabascan community on Cook Inlet. “Since that beginning it has been my extraordinary privilege to be associated in my work and life with the Native people of Alaska and their ancient cultures that are so inextricably tied to this land,” Hunsaker said. 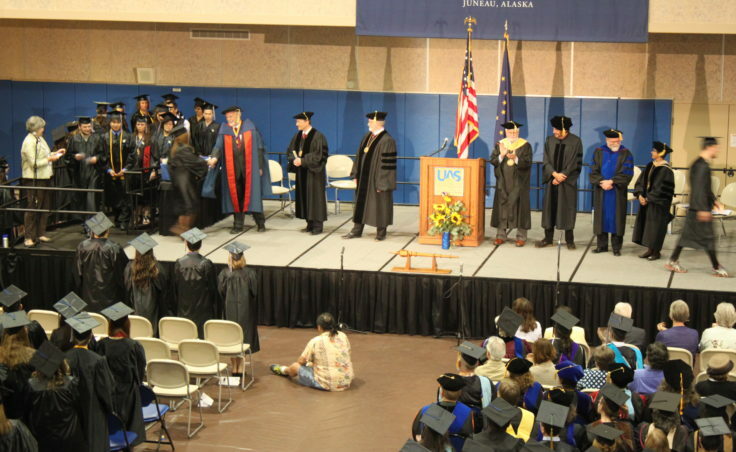 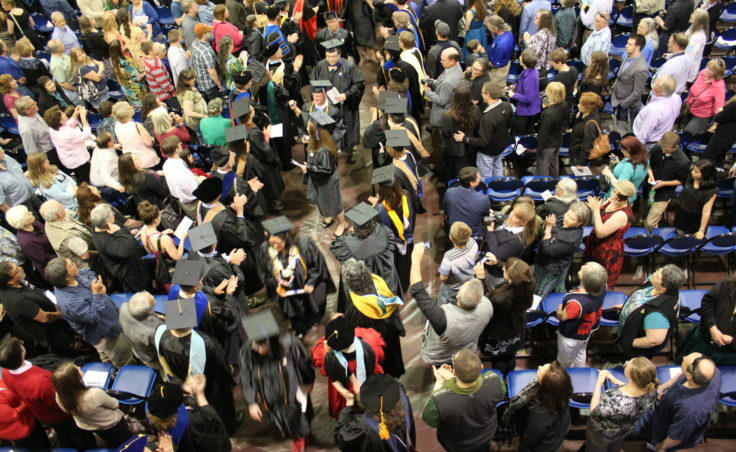 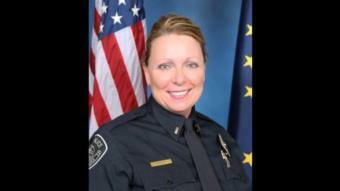 About 90 percent of UAS graduates are from Alaska. 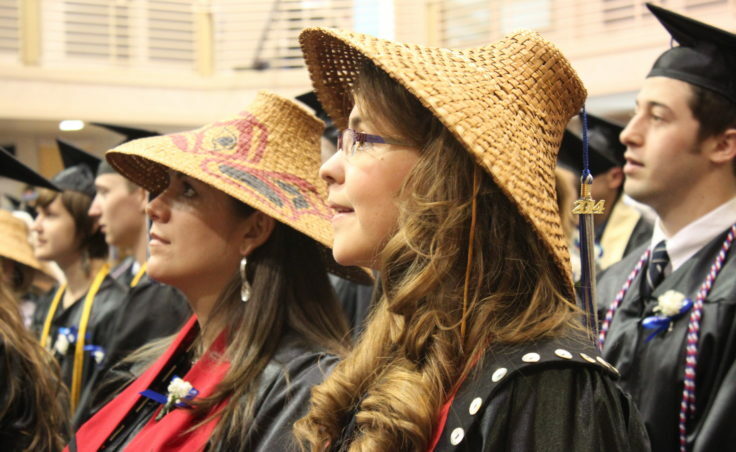 Nearly 12 percent are Alaska Native or American Indian. 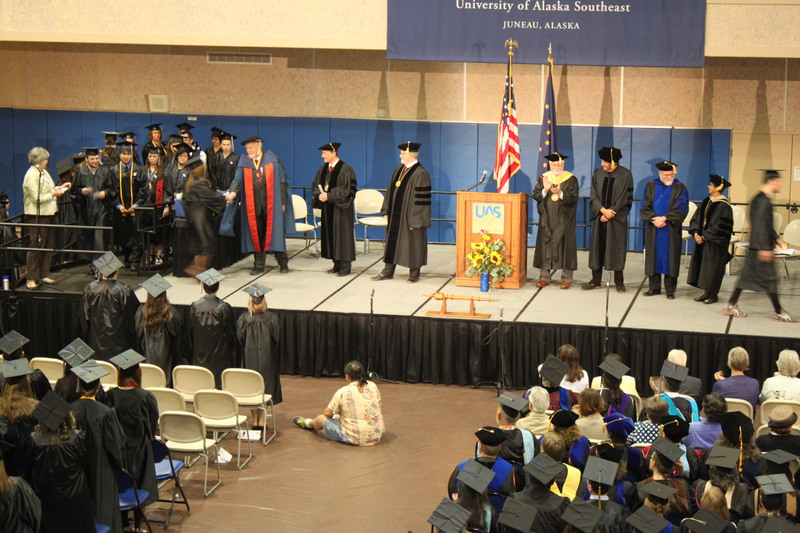 This is first time UAS has had graduates with a Bachelor of Liberal Arts in Alaska Native Languages and Studies.